It is that safe in all types of weather snow, ice, and freezing rain. The truck is the most reliable even though it is so aged. We have not had any major problems with it and it is wonderful as long as we do regular maintenance on it. It is very comfortable to drive and right in you do not feel the bumps and it is a 4 wheel drive 4 by 4 so we're able to have other people than just those sitting in the front seat truck. The truck has a c 4 wheel drive cruise control DVD/ tape player which is normal for a vehicle at that year. My 2003 Dakota 4WD is a reliable truck. My Dodge Dakota is very reliable, a 4WD with regular maintenance and good fuel mileage. Able to tow and haul. It runs and drives great and with 4WD, able to go in bad weather. I am able to haul things in the back, as well as the room in the back seat. It has been very reliable with regular maintenance and tires. I haven't had any major problems with my Dodge, plus it looks great. Wouldn't buy again. Breaks down all the time. This is definitely not a truck I would ever buy again. Not smooth, not as powerful as I had wanted, and most importantly it broke down constantly. Not a reliable truck. The gear shift on the steering column is a little temperamental and requires perfect placement before finding the right gear. Traction on wet pavement and snow is weak when the bed is empty. On certain pickup trucks equipped with manual transmissions, the headlamp and dash wiring harness may be chafed by the actuation of the clutch pedal. This could result in abnormal operation of the wipers, turn signals, horn, or lighting systems. This could affect driver visibility, could prevent a driver from sounding a warning by using the horn, and, when the turn signals are inoperative, the driver cannot use them to signal intent to turn, increasing the risk of a crash. Dealers will reroute the wire harness and repair the harness if necessary. The manufacturer has reported that owner notification began on November 3, 2003. 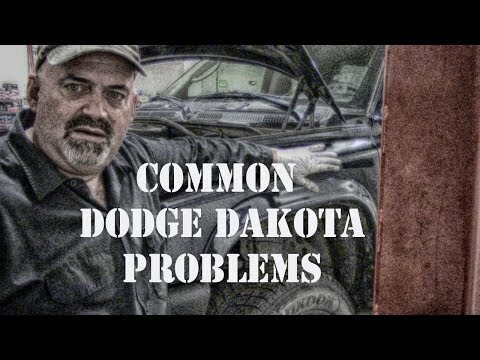 Owners may contact DaimlerChrysler at 1-800-992-1997.